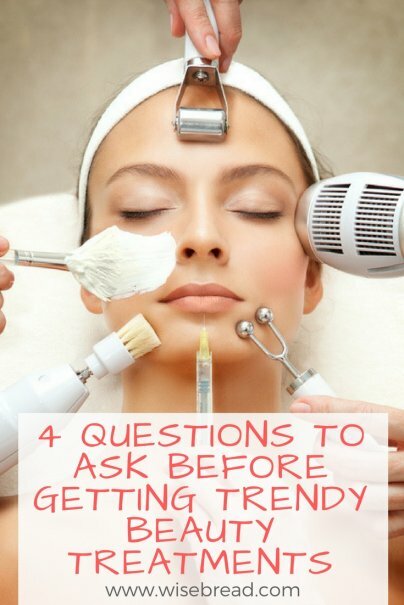 Before you jump on the latest beauty trend, do your research. Find out the risks involved before you become the one with a horror story to share. Here are some of the risks involved in the latest beauty treatments. Eyelash extensions: Adhesives used for lash extensions can irritate allergies and cause infections, which can then lead to swelling, permanent loss of eyelashes, or temporary vision loss. Microblading: This is essentially getting a tattoo of your eyebrows, so there's no need to fill them in each morning. Instead of a needle, a small blade is used to make tiny, superficial cuts in your brows and are filled in with ink. With this treatment, there is a risk for infection, swelling, or blood-borne infections like Hepatitis. Permanent makeup: Permanent makeup has the same risks as tattoos, as the method of application is similar. This includes infection from poorly sterilized equipment or scarring. In some cases, severe allergic reactions can occur. Keratin hair-straightening treatments: These treatments contain formaldehyde, which is extremely toxic and can cause hair loss, rashes and blisters, and respiratory issues. Formaldehyde exposure, over a long period of time, has also been linked to cancer. You need to make sure your technician has experience, plenty of before and after pictures of previous clients, and the necessary training to offer these services (some are required to take blood-borne pathogens training classes). How are you going to pay for this treatment? Are you already on a tight budget with debt piled up? If you're struggling to afford your student loan payments each month, you should postpone your plans to get hair extensions or microblading, at least for a few months so you can get your monthly budget back on track. It's a harsh truth, but your bank account with thank you. What is the long-term investment? Nothing lasts forever. Even some beauty treatments labeled as "permanent" will need to be reapplied after a few years. For example, if you dye your hair several shades lighter, how often will you have to touch up the roots? Are you willing to let the dye job grow out completely in order to save money? Or will you need to head back to the salon every two months for costly upkeep? Trying a new beauty treatment once can be fun, but add up the long-term costs.